Professor Solove blogs extensively about privacy and security issues. Contains extensive posts by Daniel Solove and others about current privacy cases, statutes, and news articles covering a wide range of privacy law issues. Contains interesting posts about current privacy law issues. Contains daily updates to law, technology, and privacy news. Adam Shostack discusses privacy and information technology issues. 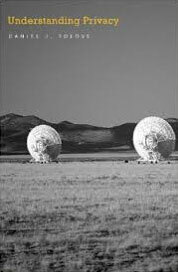 Contains an extensive collection of links to each day’s privacy news articles. Law professors William McGeveran, Derek Bambauer, and Tim Armstrong discuss information law issues. Lawyers at Hogan Lovells, including Christopher Wolf, blog about the latest information privacy issues. Lawyers at Foley & Lardner, including Andrew Serwin, blog about the latest information privacy issues. Blog about privacy by the Future of Privacy Forum, a think tank exploring responsible business privacy practices. Ed Mierzwinski discusses data security, consumer privacy, financial privacy, and the credit reporting system. A group of law professors discuss the credit system and bankruptcy issues. A large group of law professors and other experts discuss consumer law issues. Law professor Eric Goldman ( Marquette) on consumer privacy and electronic commerce issues. Journalist Bob Sullivan’s discussion of consumer privacy and identity theft. Security expert Bruce Schneier discusses privacy and security issues. Law professors Bobby Chesney, Steve Vladeck, and Tung Yin discuss national security law issues. Political philosophy professor Seth Weinberger discuss national security issues. Contains news and information about HIPAA and health privacy. Contains extensive information about news and cases involving freedom of the press. This newsletter is by the IEEE Computer Society Technical Committee on Security & Privacy. This newsletter is by data security security expert Bruce Schneier. An extensive bibliography of economics scholarship about privacy maintained by Professor Alessandro Acquisti ( Carnegie Mellon School of Management). A chronological chart by the Privacy Rights Clearinghouse of data security breaches since 2005. An extensive collection of resources on national security issues. Provides links to privacy laws, regulations, reports, multilateral agreements, and government authorities for more than 90 countries around the world, including the United States. The best way to find paper topics is to read some of the blogs listed above, which often have postings on the latest news relating to information privacy law issues. This website has summaries of California’s many laws addressing privacy. This website has a comprehensive collection of state data breach notification and credit freeze laws. This website by the National Conference of State Legislatures has information on laws in all 50 states in various categories. This website provides a summary of the health privacy laws in each state. This website contains privacy cases from around the world, translated into English. This website by the Australian Privacy Foundation has links to numerous Australian privacy laws. Contains extensive information about Japanese information privacy laws. A distilled guide to the essential elements of privacy law. Concise and handy — a useful study companion to the course and a great reference guide for the practitioner. 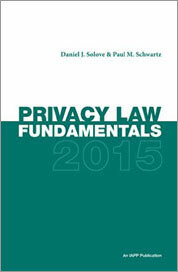 Provides an overview of different theories regarding the definition and value of privacy. 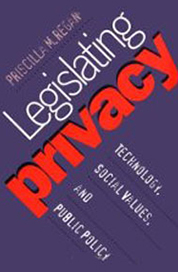 Develops a theory of privacy and discusses contemporary issues and US and foreign privacy law and policy. 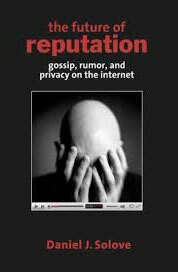 Discusses Internet gossip, social network websites, and free speech, with plenty of concrete examples. Available free online. 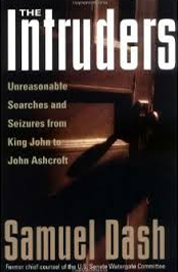 Excellent very accessible history of the Fourth Amendment. The best discussion of how and why Congress has passed certain privacy laws. Far from dull, the legislative process is fascinating, and this book is extremely illuminating and interesting. 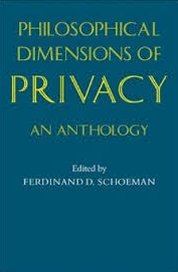 Contains a great selection of the classic articles about what privacy is and why it is valuable. A classic. 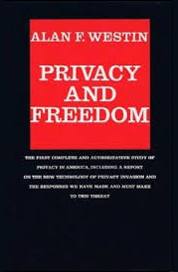 Provides a wonderful account of why privacy is worth protecting and the value privacy contributes to individuals as well as to society.